From the centre of Dockray walk up the road until you come to a left hand bend with two stone buildings on the right, one with a satellite dish. Turn right through the gate on the other side of the buildings and follow the path through the fields until you come upon a former white school building, which is unusually known as New School. Pass in front of this and the next building down the road until you meet the road into Dockray with Matterdale Church opposite. Turn right on the footpath and arrive at the Royal. Opposite the Royal in Dockray is a signposted footpath. Continue down this track which roughly follows Aira Beck all the way to Aira Force, the waterfall. If you carry on down past the waterfall you will, after 10 minutes, come to the National Trust car park at the far end of which there is a café. Across the road is the Pier on Ullswater. Follow the directions per walk 2 and across the road to the right of the café you will see a slate chip covered public footpath that takes you all the way to Glenridding. Once in Glenridding you will find the Ullswater Steamers, near the lake (! ), down the road just past the Best Western Hotel on the left. 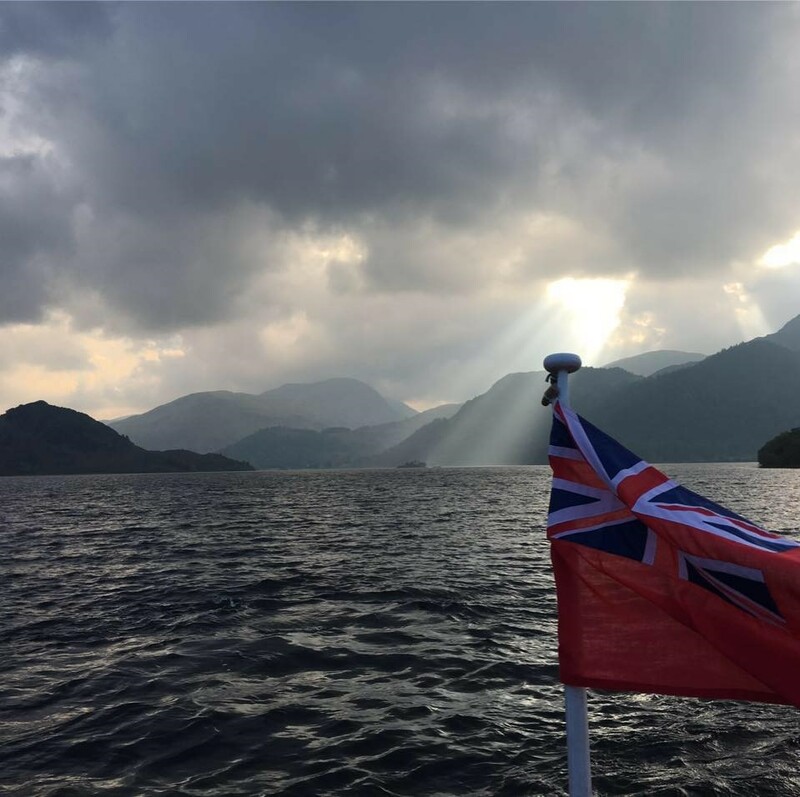 You will need to take the Glenridding – Aira Force boat. Once back at Aira Force walk back up the Beck and we’ll see you in the Royal for a well earned pint. From the centre of Dockray walk up the road until you come to a conifer plantation. At this point you will the Old Coach Road signposted. This gets you to the start of the walk but although the coach road itself is pretty obvious further on you will need the map to guide you into Keswick. Also please think about how you will get back from Keswick. We think it’s a taxi! A few short sections of the coach road were significantly damaged by storm Desmond but passable on foot with care. From Dockray over the bridge here is a footpath to the common. Half way up take the fork to the right. 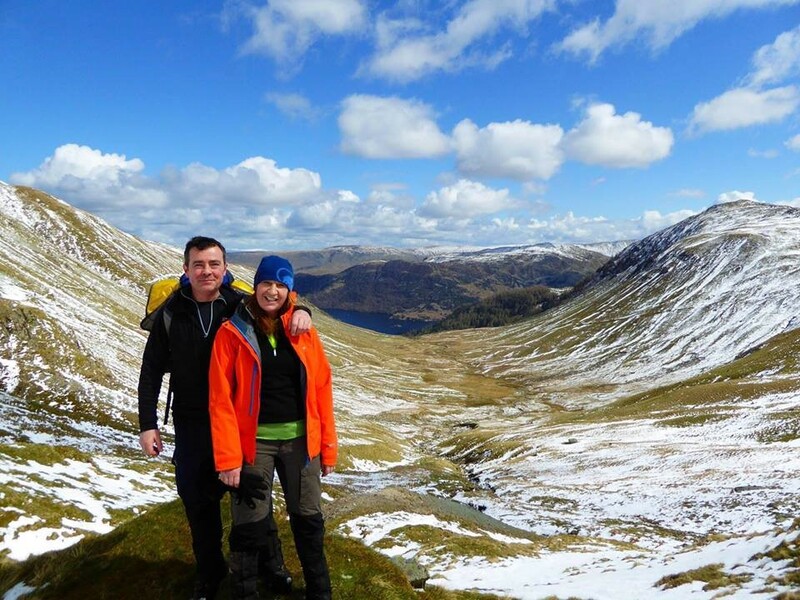 From the top you will have an amazing view of Ullswater. Just over the top you will see a wall running from your left to right. Turn right and join the path that runs alongside the wall. Stay on this path into Glencoyne valley following it all the way round then out over the saddle and turn right and head down into the valley that takes you to Glenridding. You will pass through a disused mine. Cross the river on the bridge, turn left and keep heading down to Glenridding, maybe with a stop at the Traveller’s Rest pub. As before from Glenridding take the boat (or walk) to Aira Force, back up the beck to Dockray. Follow the instructions from walk #2 towards Aira Force. If you are taking the clockwise route you will bear off left up Gowbarrow Fell, the Ullswater Way is signposted with Daffodils. If you are taking the anti-clockwise route, head down Aira Force and carry on to Glenridding, Patterdale etc. There are enough cafes along the route to feed yourselves however as for any walk of this length plenty of water and snacks won’t go amiss. Take the boat to Howtown from Aira Forceor Glenridding . Walk up through Howtown and follow the path round the end of Steel End towards Martindale village. 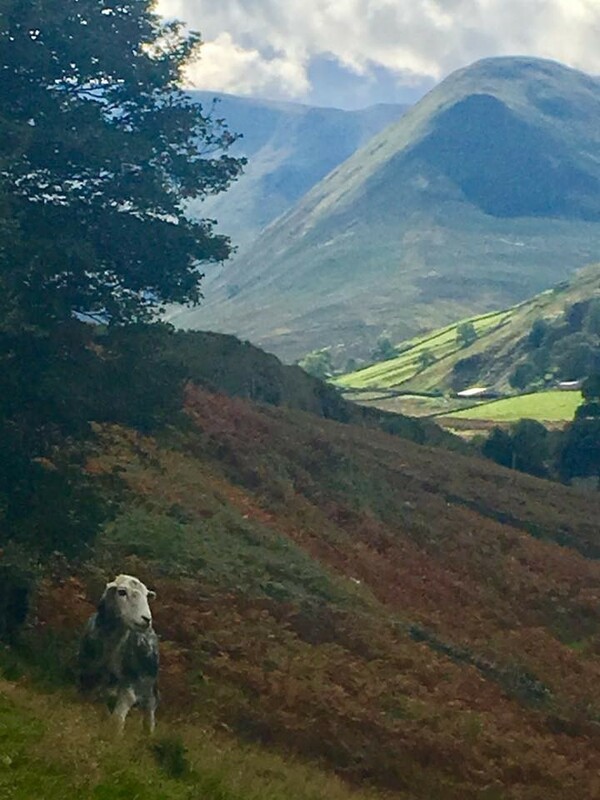 Join the road and walk up the road through Martindale valley (so pretty) all the way to Dale Head. Here join the path up Beda Fell. At the junction at Chapel in the Hause drop down towards Patterdale. There is a café at Side Farm. Then head towards Patterdale and back round the road to Glenridding to rejoin your car. Alternatively at Howtown turn right off the boat (most people go this way) and follow the path along the banks of Ullswater round to Patterdale. Equally as pretty but can be ‘busy’.